The Undeniable Life is an online community started by Anna Price, and it all began in 2013. The Undeniable Life aims to connect and encourage young women to creatively build their personal brands through networking and self-expression. We cover everything from fashion to fitness to relationships, but there's more to it than what meets the eye. At our core, we are a network. We are a network of girls from coast to coast, and even across the seas. We encourage girls to be themselves, and to take risks in order to achieve their dreams. Join our community, and create life-long connections and friendships with like-minded #girlbosses from around the world. 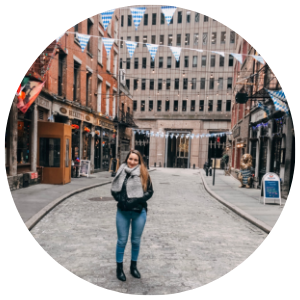 Anna is enjoying being in her twenties, running her own digital marketing business, as well as being very involved in the real estate community. She is passionate about teaching girls leadership skills, and loves sailing, a good cup of coffee, and is a work-aholic. She can not wait for what lies ahead for Undeniable, and looks forward to meeting more great people along the way! Once upon a time, there was a high school girl from a suburb of NYC, Anna. Anna decided to escape from her local community and delve into the virtual one of young women and bloggers from across the world. She started a collective magazine written by bloggers that she would put together every month in a Word document. She was amazed at how quickly it grew, and decided it was time to grow and transition into a website. The Undeniable Report was born. The Undeniable Report was the first attempt at creating a website that encompassed everything she stood for and wanted to provide to the teenage girl community. Anna learned from her errors and saw what worked and what didn't work, and decided it was time to make it official and transition into The Undeniable Life. Now she runs The Undeniable Life with a great team of girls, who include some of her best friends. The Undeniable Life is a community, and because of it, girls from around the country and world have found friendship in one another that they wouldn't have without it. Anna found a beautiful friendship of her own through Undeniable Life, and it was with Carrie Carlisle. Carrie came onto the Undeniable Team during our Undeniable Report days. She started as a writer, but she ended up helping with everything from administrative tasks to editing the occasional article and social media posts. 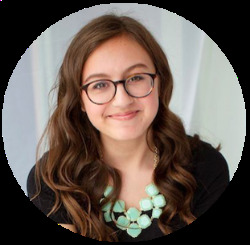 When Anna graduated high school, she knew she was going to need help managing everything. When it was decided to transition to Undeniable Life, she offered her best friend Carrie the position of VP of Operations.